Mr. Charlon Zammit Stanmore obtained his BSc (Hons) degree in ICT (Computer Information Systems and Artificial Intelligence) in the year 2010. He is also certified in Microsoft Dynamics ERP suite Financials and Retail (Dynamics AX, Dynamics GP and Dynamics NAV). 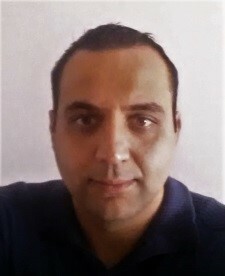 Mr. Zammit Stanmore possesses around 10 years of industry experience having occupied various positions in the implementation life-cycle, including senior ones, and currently he works as a functional consultant with a leading technology solution provider company, handling both local and international implementations. He specialized in data analysis, business analysis, fit-gap analysis, data architecture, enterprise resource planning suites, usability issues and security. His hobbies include travelling, sports and youth work. Dr. Stefan Buttigieg obtained a Doctor of Medicine and Surgery in 2012. He is currently finalising a Masters in Health Informatics and Masters in Public Health. Furthermore, Dr Buttigieg has more than 10 years experience in WordPress, Web and Mobile Development and 5 years experience in Digital Marketing. He is also an author of two books focused on mobile development, namely ‘Arduino Android Blueprints’ and ‘Learning Node.js for Mobile Application Development’. His hobbies include travelling, skiing, reading and cycling. 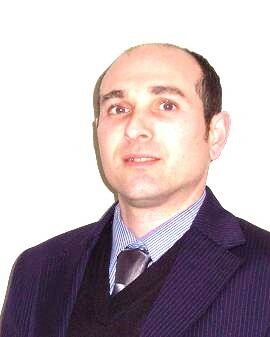 Mr. Eric Aquilina started his career in 2005 as a Systems Administrator. Two years later he decided to further his studies and completed a BSc in Computer Science, specialising in Computer programming. Since then he has worked as a Software developer, where he currently leads a Software development team which works on systems requested by government departments. Since education is a continuous process, Mr. Aquilina lately continued his studies towards an MSc in Software Engineering which he successfully completed in 2016. Ms. Roberta Galea obtained her BSc (Business & Computing) in 1998. She also obtained her MSc in IT in 2008. Ms. Galea is currently a Senior Lecturer at the University of Malta where she has been teaching Computing and IT for the past 20 years. Her specialisations include java programming, networking and computer systems security. Her hobbies are reading and sports. Mr. Kurt Ellul is a Microsoft Certified Application Developer and obtained his Microsoft Programming Certification in 2007. Mr. Ellul possesses around 12 years of industry experience occupying software engineering roles and currently is a Senior Manager in Customer Base Intelligence within one of the leading telecommunication organisations in Malta. His specialisations are VB.NET and C#.NET using .NET Framework, and database development in MySQL and MS SQL servers. He is also interested in other technologies such as Data Mining and Mobile Programming. Mr. Eric Grech is a Systems Engineer working at Vodafone Malta, where he has been designing, maintaining and managing the systems/applications on Linux and Microsoft servers through their life cycles for the past three years. He obtained his Higher National Diploma in Software Development in 2010 where he gained skills in Java, C#.NET MS SQL and Oracle SQL. Mr.Grech furthered his studies in the world of ICT in 2013 where he obtained his BSc Degree in Computer Science. Mr Clayton Abela studied at the MCAST Art and Design for six years and has experience in commercial printing and graphic design. He achieved his qualification in graphic design and he has been working with Pixel Services Ltd in the field of graphic design and printing for over 14 years now. While he has a passion for design and creativity, he also enjoys mastering technical skills. In fact, Mr Clayton Abela has completed A+ Technician (Cisco Certified) and more recently an International Diploma in Computer Studies with Honors over Europe. Clayton also studied game design animation and visual effects, a course that would merge his love for creativity and technology. He acted as a graphic designer and technical adviser on the production of an extract from The Wig Hunt, a work-in-progress transmedia novel written by Josianne Mamo. Mr David Bailey obtained his BSc (Hons) degree in IT (Computer Science) in year 2007 and his MSc in Computer Science in year 2010. He is also a certified A+ PC Technician. Mr David Bailey possesses around 8 years of industry experience occupying software engineering positions, and currently is a Senior Software Engineer at RightITnow Ltd. His specialisations are Java development including platforms such as Spring and Hibernate, web development in GWT, and database development in MySQL. He is also interested in other technologies such as PHP, SOA, peer-to-peer computing and virtualization. His hobbies include computer gaming and basketball. Mr. Andrew Saliba is a Managing Director of Logic C&T Ltd, a management consultancy firm and holds a Master of Science Degree in Logistics and Supply Chain Management from Cranfield University. Mr. Saliba’s work experience in logistics and supply chain spread from 1979 to 2006 with Playmobil Malta Ltd, a leading German manufacturing company based in Malta. In 2007, Mr. Saliba moved from the manufacturing to the retail sector as a Logistics General Manager with Miller Distributors Ltd. In 2008 Mr. Saliba set-up his own company, Logic C&T Ltd offering consultancy and training services in management principles; logistics and supply chain process re-engineering; inventory management systems; purchasing/procurement; JIT, lean implementation and warehousing including warehouse design. Mr. Saliba is a lecturer specialising in logistics and supply chain, operations, HRM, and general management principles. Mr. Joseph Cutajar possesses a Masters Degree in Training and Human Resources Management Awarded by Leicester University. During his career he has occupied various Managerial positions through which he gained a vast experience in managing people and operations which he enjoys to share with learners/participants. Mr. Cutajar is an accredited lecturer by two foreign Universities and various other recognised local and foreign Education and Training institutions. During the last 20 years he delivered sessions/lectures as a freelance lecturer on subjects that amongst others included: Organisational Behaviour, People in Organisations, Train the Trainer, Managing people, Managing Resources, Managing Operations, Human Resource Management, Leadership Development, Project Management, Assessment of Learning, Business Strategy, and a number of other programmes. Ms. Melanie Pace has obtained a Diploma in Management Studies in 2005 and a Master’s in Business Administration (specialising in HR) in 2014, both from the University of Malta. She has been active in the management of Human Resources over the past fourteen years, gaining both local and international exposure, in both private and public sectors and across different industries, including manufacturing, hospitality, pharmaceutical and the latest financial services. Ms. Pace currently holds the position of Human Resources Manager with the Malta Financial Services Authority (MFSA), focusing on recruitment and selection. During her working experience, she has handled various projects such as the revamping of training systems, restructuring exercises locally and internationally, the implementation of a suggestion scheme, the implementation of new HR systems, the design and implementation of HR policies and procedures amongst others. She is fond of travelling, particularly exploring different cultures as well as fitness training. 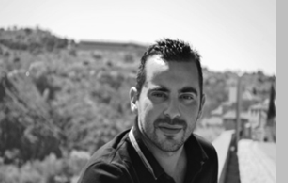 Mr. Roderick Zammit is experienced among various industries from Hospitality Industry to Insurance Industry. For the last ten years he had Managerial positions with various well established organisations – profit and nonprofit. 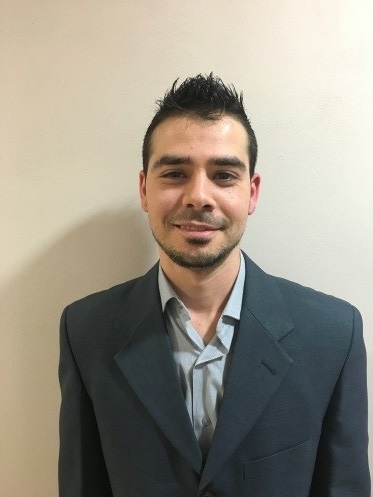 Roderick obtained his Master in Business Administration from the University of Malta in 2014. He believes that tenacity and versatility together with the passion for knowledge are the key fundamentals for a bright upcoming. Mr. Svetlick Flores obtained his Executive Masters in Business Administration from the University of Malta in 2014. Mr. Flores holds various other advanced qualifications, specialising in Management, Leadership and Public Governance. He also followed various training and delivered presentations abroad in the field of management and Leadership. Svetlick possess a wide range of managerial experience at educational institutions and within the public sector. Mr. Jonathan Borg, graduated at the University of Malta, after completing his Master`s Degree in Executive Business Administration along with other academic achievements accomplished throughout his studies. In the duration of his business studies, he had indulged further, to acquiring various experience in Management and leadership through different positions occupied throughout his career; he is currently also serving as Director in a Local supply chain firm. Mr. Borg has been lecturing Business related topics for the past five years, on different levels to both local and foreign students. Miss Meli started her professional career working for the family business being licensees for an international car rental brand – managing operations for the self-drive arm of the business. She later moved on to quality and procurement for an oilfield service provider where she contributed to the attainment of the ISO:9001 certification. Her career in Human Resources started with Corinthia Hotels back in 2012 and continue to date at Credorax Bank, a global online payments acquirer where she occupies the role of Head of HR and Compensation for the teams in Malta and Europe. 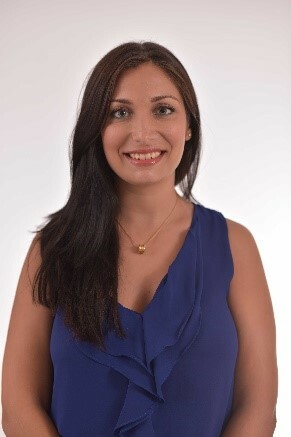 Miss Meli is a University of Malta graduate with a Diploma in Management Studies (2012) and an Executive Master’s in Business Administration (2016). Her dissertation reflects her keen interest in human behaviour, entitled “Investigating the Relationship between Narcissistic Personality and Risk Propensity”. In her free time Miss Meli likes to travel.